41 members visited on a beautifully sunny day (another one! ), to enjoy the garden and tea and biscuits (of course). Anne also invited members to bring along a picnic to enjoy in the garden. Anne, a knowledgeable plants women, has previously opened her garden for the NGS. This quote is from the 2011 NGS Yellow Book. Blackmore Grange. “All year round two acre rural garden surrounds the family home. Packed with a large variety of plants, shrubs and trees. The swimming pool has been transformed into the stable garden, an outstanding area of traditional cottage-style planting. Also a mixed orchard, woodland walk, mixed planting beds and kitchen garden”. 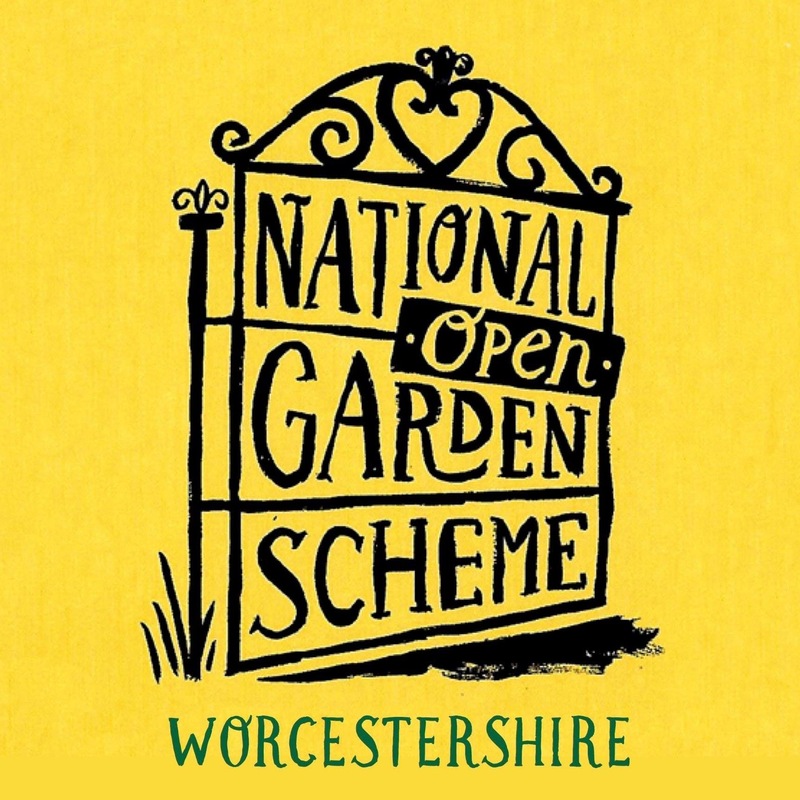 Described by Chris Beardshaw as “A natural garden full of interest and variety”. …where you arrive into one of many seating ares in the garden. …where the teas were served. Verbena bonariensis, agapanthus and succulents growing in the gravel and broken pots. Climbers including, ornamental vines, roses and clematis, cover the pergola and scrambled up through support plants. This dahlia and hydrangea add a splash of light colour, providing a perfect contrast to the smoke bush, several of which were flowering in the garden. Leaving the stable yard garden for the woodland walk, some of the roses were still flowering with their hips just beginning to develop their autumn scarlet colour. Anne, on the right with club member Betty Mills. It is important to read the plant label to ensure you have the correct name to go with the photo. Turning back towards the house you see the mixed orchard, which is underplanted with spring bulbs and roses growing up into some of the more mature apple trees. In the centre of the lawn, is a magnificent tulip tree, Liriodendron tulipifera. …and at the rear, an impressive pot display of hostas, acers and seasonal bedding plants. No one was in any hurry to leave, enjoying the weather and the setting in this “Natural garden full of interest and variety”.